Congrats, join one of the many training run discords (NA and EU!) today to have your regular training run experience! Otherwise there are plenty of guilds if one would use reddit, discord or the lfg option in the game to actual search for one, aka open a lfg, saying you search for a trainings guild in the lfg message, and wait until one of the many guilds see the lfg (which simply can take a while, maybe try that on prime time?) and sends you a message. There are options, but people have to look closer than just 5 mins in the lfg and expecting there to be traingruns 24/7 and use the forum, lfg or reddit themself to search. Sounds like a Culinary problem..
anyway this would be good for everyone. just have ArcDPS have the rotations programmed in and maybe even a button that allows players to auto sequence them.. would be great! But why stop there... How about autowalk, autoevent, autoworldcompletion, autodailies, autoistanfarm, autoTP, autoWvW, autoPvP? The lenghts people would be willing to go through to be able to complete content without actually having to play said content never seizes to amaze me. I wouldn’t mind an easy mode either, however the reality is the devs are having a hard enough time getting a single raid encounter out in a single year. Let’s maybe waiting until there is maybe 10 raid wings in oh I don’t know 2025, before we can honestly discuss an easy mode. And I wish someone gifted me a 458 Italia. Then read the thread. I've argued properly, time and again. Yah.. it'as almost as stupid as the DPS meters, kill proofs, using discord and all the other things people do to ensure the content is easy.. oh wait. No really your objection to making things easier is silly at this point. Might be rather shocking to you but many of us actually enjoy using voice communication and DPS meters with all of the data and additional information they provide through websites like dps.report. The fact that you put voice communication software and statistics/analytics tools on the same level as autoplay features is pretty laughable. The objections to giving people the tools to better their game play is deplorable and stupid. such amazing gameplay, but soo much pie. This is why pie will never beat cake. Better the game play not remove the gameplay. Having a script take over a majority of a players actions does not improve their skill, which would be their input. It improves their output in the game by taking over and reducing difficulty by simplifying the required inputs. Simplifying is not synonymous with improving. Actually improving a persons skill would require to improve their input. Now one can debate if gameplay should be measured in result or player skill, but in one of both cases the actual player learns and/or improves nothing (when reducing the difficulty). I voted for all modes, Easy, Normal, Hard. I like the idea of having an easy mode because it would be so much more easier to hold a training raid to teach people how to get to Normal mode. If you're teaching a training raid and keep wiping every minute because of a missed mechanic it makes it harder to show people the rest of the mechanics. You are confusing skill with a game. Sorry, this is a game, not a job, not some life skill, it's pressing a few buttons, on cue. If I can have a program take some tedium of button masking from me, what is it to you? if you don't like you don't have to use it.. but to deny others this feature is beyond pitiful and spiteful. Why not watch someone else do it on youtube then you dont have to press anything at all. Loot.. Duh. Why else do we even play this game. I mean come off it, this is a PvE MMO, scripted encounters, where the whole kitten goal is make it easier, this is not some MOBA where skill matters. It' nothing to me. I was pointing out the flaw in your logic and argument. If you openly stated that all you want is the loot or satisfaction of completing content without actually interacting with the game, that's fine by me. You bring up a valid point, why do we interact or play a game. The next question following that would be how are different games made and which players are they made for. There is autoclicker rpg games where your Interaction with the game is close to 0. There is life emulating games like the Sims. All of those require less skill and a different Set of qualities. What you have not so far explained is how this relates to a MMO and more specifically GW2 with it's wide range of difficulty content wise. Why develope difficult and challenging content only to make it meaningless via outside scripts? That makes no sense from a developer standpoint, not to mention cost and ressource wise. There is sufficient content (actually the vast majority) which is easy enough you don't even need the Script approach. Out of curiosity, and off topic, did you get that wvw leggy armor, Stihl? If you don't want to play the content and let a program "play" it for you, then just watch a youtube video with the content. This whole argument is pointless, plus it's off topic as using a program to execute rotations has little to do with an easy mode. Funnily I'm having deja vu about this as I'm sure this off topic discussion happened earlier in the thread. For fun, actually. Bit sequences encoding virtual goodies serve no purpose by themselves. I can code these myself. But strangely, simply granting them to myself isn't much fun. It's only fun when I get them as a reward for my effort. I think they should work on the release cadence more than anything. Like Hell people play for Fun.. if they removed the loot from raids they would die overnight like dungeons, spare me any stupid remarks like they wouldn't or how you are the one special case or some other such nonsense. Like hell I'd play something if it weren't fun for me. Like Cyninja said, reward gratification is part of it, but not the only one. Istan is better loot than raids and so was ML Tarir. I go there from time to time, stay for 30-60 mins and leave it for weeks. While raids I clear every week, sometimes more than once. Must be for the epic loot from killing a boss a second time, right? Why are you guys feeding it ? Why wouldn't people be sad about this current and sadly continuous trend to have games play themselves for you while you end up being nothing more than a watcher with a creditcard in their hand? This entire bible sized topic comes down to nothing more than one group wanting rewards they can't be bothered to obtain by actually playing the game and all of their ideas to make it happen. It is however funny that a tool (ArcDPS), which was fought against so vigorously, with it's very idea that someone might be forced to play the game not exactly as they want as it clearly shows the inefficiency of some of these playstyles, is now supposed to be used to play the game for you completely. Seems more than just a little ironic to me. Putting in the Rotations ArcDPS, would also help players in all other game modes, even if they didn't care about DPS meters or raids. Like doing story mode for example, it would help them optimize their personal rotations with an in-game guide to allow them to do any and all content easier. In fact putting in the Rotations, and even Optimal Build templates and skill selections, would make ArcDPS much more attractive to the moderate and casual gamer, that I believe would enjoy a real time interactive system that allowed them to play whatever they had as best as it could be played. And really this entire topic comes down to people who think they are better then everyone else and should be catered to in all ventures, I get that some people are very short sighted about this, and can't see the larger picture beyond their nose, and feeding their own ego. But if the maker of ArcDPS checks this out, putting in the rotations and other means to provide an in game guide to optimize DPS would really make their system far more attractive to a larger group of gamers. Ironically I agree, but I bet we're not talking about the same group of players. I haven't started raiding yet, but as soon as I have finished my legendary backpiece it will become a thing for me. Mostly because I want legendary armor. Now it really saddens me that my RL friends won't participate because they find it unfair you have to get ascended armor. Now I know for a lot of you this sounds rather like a joke, because getting ascended armor isn't big of a deal anymore. In fact, I myself have every profession fully equipped with ascended weapons + armor, and all of them even have over 150 AR. But I can totally understand that some people don't want to invest time into items in order to enjoy something big like a raid instance. One could ask why you need ascended equipment and the answer is probably obvious: Because you need the defense and the damage. Raids are supposed to be hard, but honestly I don't see why difficulty is connected so heavily to stat numbers AND to mechanical skill instead ONLY to mechanical skill. It seems a bit to me like the devs were trying to shoehorn you into a grind or buying gems in order to secure more playtime / money. Even today, without legendary armor, you have to play certain builds and some of them don't even are viable on every boss, forcing you to either play multiple professions or going for multiple ascended sets (or mystic toilet changing stats). Another problem of course is the necessity of a meta for those bosses because this again forces you into playing certain classes or stats. I would totally welcome different difficulties, of course with less good rewards, simply to have more content I can enjoy with people that are very dear to me. Meanwhile, GW2 is getting about 1 raid a year. How long until we get no more raids whatsoever, hm? Now it really saddens me that my RL friends won't participate because they find it unfair you have to get ascended armor. Most players wont even notice that you run exotics. Especially if you run a budget chrono with giver stats or something. The armor isnt the most important and ascended trinkets are really easy to get. Almost all the current meta builds work on every boss. People rarely specify what DPS class they are looking for in lfg. No one is forcing you to play another build. The only exception is Condi on KC. You can take your power Deadeye/Weaver/Dragonhunter whatsoever on every single boss and you will probably be fine. "Cause you said it yourself: "but finding a group that would accept a newbie without the top gear is going to be tougher than with the gear", which is wrong. A player who never raided before with full exotics but knowledge of his class and rotations will have a much easier time getting into raids than someone in full asc but doesnt know what he is doing. Its just a fact that most bosses have a timer, so people need to pul ofl some dps. If people can pull of 20-25k dps on the golem, then they should reach 10-15k dps on a boss, which a dps role should at least pull of." Having exotics only is perfectly fine, hell i even raided in yellow-green gear on my second account back then. 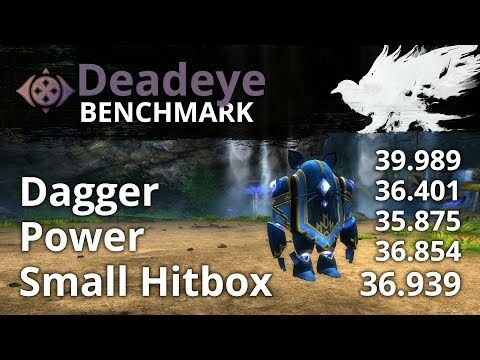 What new raiders should look into that they know their class and in fact were testing their dmg output on the golem if they play a dps build before going into raids. You dont NEED ascended equipment. Only fractals absolutely need those. Proper rotation plus knowledge of mechanics is so much more important than ascended gear, for a successful raid. Really, people have been doing raids in green gear without problems. Gw2 is the one game where theres no gear treadmill. As for the legendary armor and the QoL it provides, let me tell you that most if not all people already have an ascended set for each build, long before the armor came out. Plus, it is tedious to change stats with the leggy armor all the time. Much, much easier to just equip another ascended set. Raids are not as tough as people claim they are. You don't need Ascended quality items to play and beat Raid encounters. but honestly I don't see why difficulty is connected so heavily to stat numbers AND to mechanical skill instead ONLY to mechanical skill. This is actually false because the Raid difficulty (with some exceptions) isn't connected heavily to stat numbers. There are encounters like for example Gorseval (with no-updraft strategy) that requires very good damage but most Raid encounters aren't like that. Furthermore, it depends heavily on your role in the fight, some roles require more heavy investment in gear, but others are more relaxing. Since you want to play with your friends you can all figure out who will play which role in a raid encounter and who will fill the "essential" spots, while the rest can play anything they want. The composition for raid completion isn't specific, it's actually varied and allows many different compositions, after all players are finishing Raids with 9 (or less) players, meaning one (or more) can play a random/non-meta build and still succeed. What you probably can't do, is have everyone run a random build, that would take some extra skill from the team to pull off. It's not against the ToS.. that has already been discussed and dealt with. Can I get the reference that having a autoclicker for you're skills wouldn't be against the tos? Has been said by 5 people already, but I AM going to repeat it once again: ascended armor is NOT needed for raiding. Now weapons and trinkets are very beneficial since the stat difference on those is actually significant enough (and ascended weapon higher base damage is useful). The stats on ascended armor are around 2-4% higher versus exotic armor. Absolutely insignificant. As pointed out by @Xantaria.8726 experienced raid commanders know if people have practiced and how serious people are about the training raid. If ascended armor is the only thing keeping your friends from giving raids a go, talk to them and see if they would give it a shot with exotic armor. For dps. They are a bit more significant for support builds, because not having that few percent stats can make having that sweet 100% boon upkeep harder or impossible. Which suddenly starts impacting group dps in a way that's out of proportions compared to what the small difference in stats might suggest. Yes and no. The only class needing 100% boon duration (and even then not really since perma boons can be achieved with slightly less) is chrono. Considering the meta chrono build splashes berserker into the mix next to commander or minstrel, replacing some berserker pieces with more boon duration would cover that with no problems. I can overcap boon duration as chaos still easily of up to 110 to 115% if I wanted to. There is enough leeway there. I will agree that having to make up around 3% boon duration (which is about how much concentration worth of stats you lose moving down to exotic) can be a bigger hassle for support builds. Giving raids an easy mode will not do anything and here is why. Allow me to explain, and this will also tell you why things didn't work out so well for a lot of things including HoT's reception, the failure of the e sports scene as well as the new player experience that no one asked for. During the first esports season, one of the competitors found or was told that the vast majority of active lvl 80s didn't even have their trait points assigned. If I asked the average warrior what the arms talent tree did, they wouldn't be able to tell you, this was a fact atleast back during the 2013 - 2016 era of the game. The simple answer to that question would be "The arms tree provided critical strikes associated benefits, favoring one handed weapons and also provides benefits associated with condition damage." This is a simple answer for atleast a lot of people on this forum, but providing an answer like this is still very complicated for the average guild wars 2 player. How does it provide these benefits? How does it enhance condition damage? I see it gives me fury, what is fury? This was even more apparent when a WoW vet, Sodapoppin attempted to play the game but found himself unable to do basic things. Guild wars 2 players are not taught the fundamentals and processes, the building blocks of guild wars 2. If giving raids an easy mode was akin to learning how to walk, then even that would be impossible if the baby doesn't even know how to crawl or respond to stimuli. None of these people would be able to give you a proper answer, because they don't know the language associated with the game and the base elements of our universe. If I asked someone who played warrior because that person liked the profession to build condi, most of us here can already assume what that means, stack expertise, condition damage, precision, and power, take traits associated with condition damage from berserker, arms, etc. The process of making this deduction, the fundamentals of making the mental decision to do this is an extremely foreign concept to the vast majority of GW2 players. I asked one of my guildmates to maybe consider using an untargeted leap of faith to get away from certain situations as a last resort. During that time, he had played Guardian for 2 years and had Dawn, He asked me what button that was, you can't make this up people. This is just stats, let's look at physical fundamentals. When you attack in other MMOs like WoW, FFXIV, its the classic pen and paper tab target system, when a button is pressed, a calculation is rolled and then the server decides what happens. When you attack in Guild Wars 2, it has a physical range, when you press a button, there is a startup animation before something happens, then the attack, and then a rest, then whatever else like cooldowns comes after. This is just the tip of the iceberg as I have discovered with many of my previous guildmates. 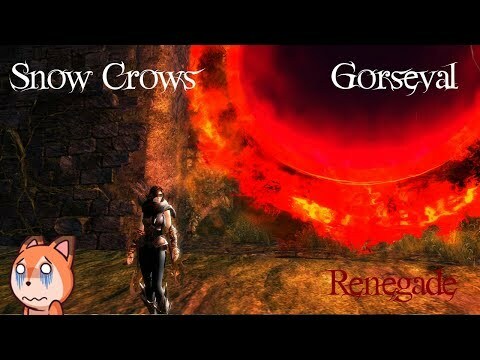 Unless those leaked numbers have changed, we can assume that at best maybe 10% of the guild wars 2 population knows process and unless that number grows no high process scene like raids or spvp will grow and telling them to read a guide will do nothing, in reality they will more likely die unless the average player is taught properly the fundamental process. The closure of Wildstar was not the beginning. Blizzard had struggled with getting a good healthy majority of people to raid since the introduction of molten core in Vanilla WoW. A majority instanced raid population in any MMO has never been a thing, ever. Let me tell you why you are wrong. Fractals and dungeons. The lower tier fractals taught me the mechanics of Fractals. I never needed a Fractal training group just to join. I never seen people shout, "join a fractal training group!" If Fractals never had tiers, and kept the difficulty at T4, I can guarantee you that every fractal pug will require 250 Pristine Tokens just to join. I could never in my life get a pug for Arah and stay in it without being kicked for not knowing the path. Even to this day, I still have not properly played an Arah path(I bought the paths). Luckily, most of the dungeons were easy enough to just say, "Stack here and dps." However, no matter how much I play T4 fractals, I don't learn about raid mechanics ever. That is what easy mode raids are for. How do you expect people to get eased into easy difficulty raids when they don't even know how to operate their camera properly let alone know that you can see what your abilities do by reading your tool tips. Assuming that the vast majority of people know how to play the game enough to survive in a raid setting already do raids, how do you attract the other people that I have just outlined? The same way I expect a new fractal player ease into fractals. The new fractal/raiders you described will not learn anything you outlined. But they will learn to defeat the mechanic of raids/fractals at a lower difficulty or never ascend to higher difficulty. I don't care if a T4 player doesn't know what Heartseeker is. As long as he knows how to beat the fractal, that is all that matters. How does the long release window in any way disprove or counter the argument? On the contrary, it is evidence that developing even with only 1 difficulty tier is taking way to long. Which most players in t4 dont. We already have threads where people report that its actual even getting worse, with many of them having no idea how the mechanics work. Which propably comes from the simple reason that you can buy yourself into t4 buy buying infusions from the tp and you can get asc gear from either crafting, collections, lw3+4 maps and wvw/pvp. Many just skip the first tiers. Unless a solution like you cant enter a higher fractal then the one your own lvl is currently i dont see any sign of change in that behavior. Completly besides the point that raids are taking to long already.